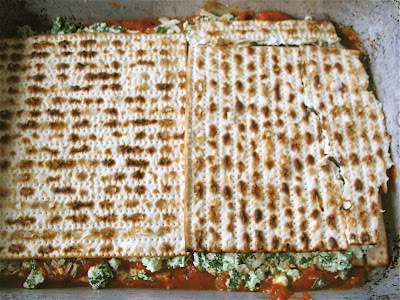 Looking for a tasty recipe for Passover? Check out this recipe for Matzo Lasagna. It's a crowd pleaser! The trick is to soak the matzo in warm water (or wine), so it's not too dry and crumbly. Otherwise, you could follow any vegetarian lasagna dish and simply substitute soaked matzo for the pasta. 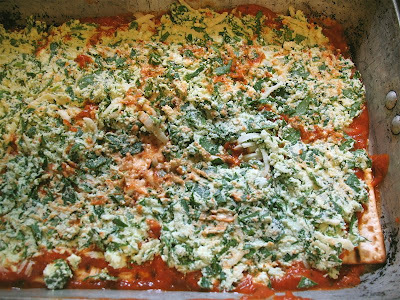 Put the ricotta in a bowl and mix with the spinach, spices, 1/4 cup of the parmesan and 1/4 c. of the mozzarella. Cover the bottom of a baking pan with some of the matzo. Cover with some of the sauce. Cover sauce with 1/3 of the cheese mixture. Put some more matzo on top of the cheese and continue the process until all is used up making sure that top of lasagna is matzo and some sauce. On the top, spread the remaining mozzarella cheese and parmesan cheese. Bake at 350 for about 30 minutes or until cooked through. Genius! Looks like a very unique and delicious lasagna. Thanks for the post! Sounds really delish and perfect or Passover! Wow that looks great. Love the green in it. 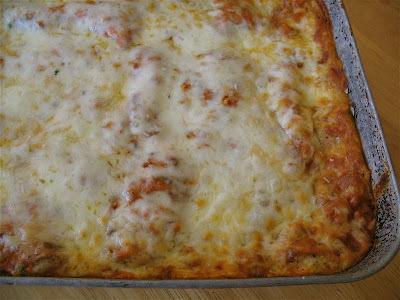 Have to try this lasagna -- love matzohs! Lasagna is one of my favorite food and I am very happy that I came to know your post. I will surely add this recipe on my bucket list. Thanks for this yummy article. This matzo lasagna recipe sounds (and looks) wonderful. Thanks for the great pictures. 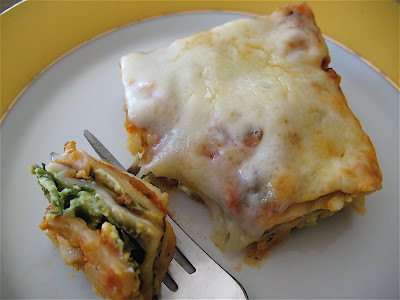 I love lasagna, but I never try vegetarian lasagna, your lasagna's picture make me hungry, and want to try it, Good job! I always have a thing for lasagna. I love the cheese, the sauce and the overall taste. Thanks for sharing this. I'll definitely make this at home. Megan & Meredith - I'm so glad you enjoyed this recipe! 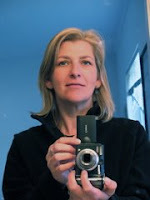 ?Thanks for commenting! Could you also soak it in tomato juice? My friend made this and we loved it. Is like to make it but am not sure what size pan to use ? 9x 11 ? Hi Suzanne - I'd not heard that. Most tomato juices (and sauces) are made from water and tomato concentrate, so I guess it depends on how strict that rule is. Jennifer - I think the pan I used was 9 or 10 by 13.